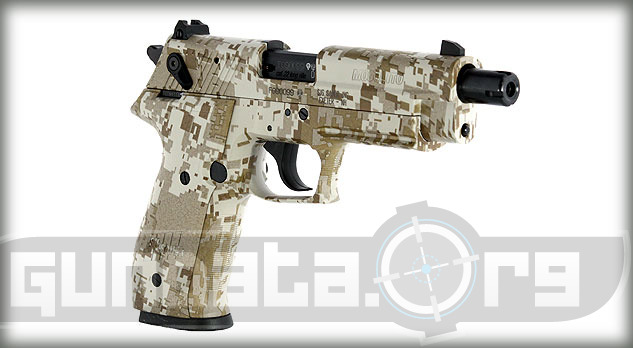 The Sig Sauer Mosquito Desert Digital Camo is a special edition handgun that is 90% the size of the P226 model, but carries many of the same features as the Sig Sauer handgun line. 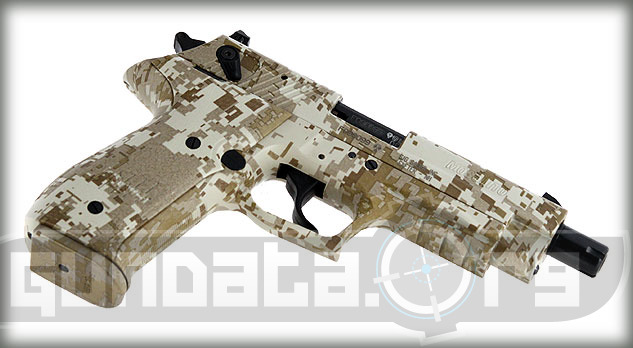 The Desert Digital Camo was designed to give shooters the same impression of a full sized handgun at the range, while saving money on ammunition during the firing process. It also features a threaded barrel for mounting a suppressor, and black mosquito controls on the left side. The controls are a decocking lever, break down lever, reversible magazine catch, and a safety selector switch on both sides for ambidextrous shooters. It also has a integrated accessory rail for mounting a tactical light, laser, or sight rail onto it. The overall length of the Mosquito Desert Digital Camo is 8.3-inches, with a height of 5.3-inches, and a barrel length of 4.9-inches. 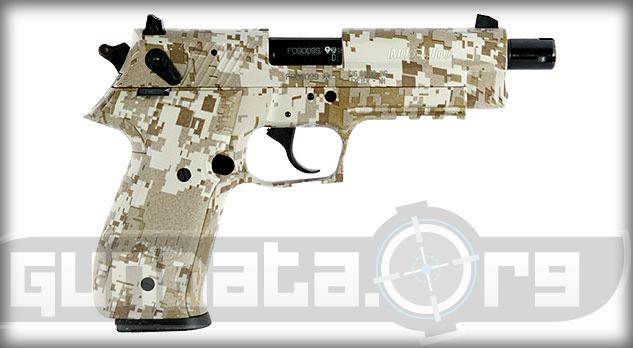 The frame material is made from polymer, and features a desert digital camo finish. The slide material is made from aluminum alloy, and features a desert digital camo finish as well. The magazine holds 10-rounds of .22LR ammunition. The approximate pull on the trigger is 7-pounds for the single action, and 14-pounds for the double action trigger. 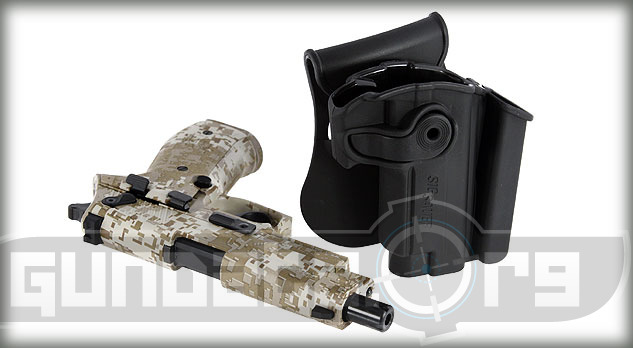 The grips are also desert digital camo, and feature front strap serrations. The rear sight is adjustable for elevation, with a fixed sight on the front.